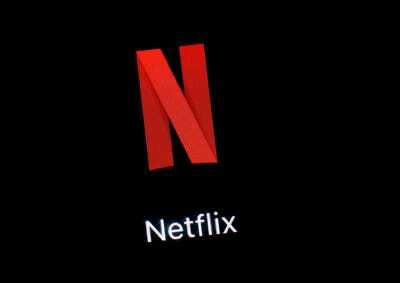 Netflix shares fell modestly on Wednesday after the streaming service reported first-quarter earnings on Tuesday evening that topped Wall Street’s expectations. Analysts are largely telling their clients that they’re undeterred by the company’s weaker-than-expected guidance for the second-quarter which initially weighed on the stock. At least one firm bumped up its price target. 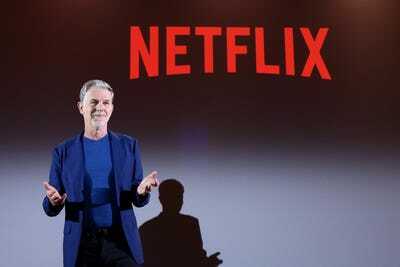 Netflix said Tuesday it expected a smaller rise in global subscriber growth next quarter than Wall Street was hoping for, but that did little to deter overwhelmingly optimistic analysts on Wednesday. "Long-Term Buy thesis FULLY intact," Mark Mahaney, told clients on Wednesday as shares held little changed. He expects global paid subscriber growth to accelerate this year despite the company’s tepid second-quarter forecast. Netflix expects to add a net 5 million paid subscribers globally during the second quarter, shy of the 6.09 million that Wall Street was anticipating. Both the US and international subscriber growth forecasts both fell short of expectations. Shares initially slumped more than 6% in after-hours trading following the results before recouping their losses. Still, the headline numbers for the quarter came in strong, with first-quarter earnings per share and revenue results both topping expectations. Others aren’t convinced the disappointing subscriber growth guidance is just a blip in an otherwise bullish narrative. Needham analysts Laura Martin and Dan Medina think the most pressing valuation question is about whether Netflix can sustain its relatively high multiple if US subscriber growth falls. 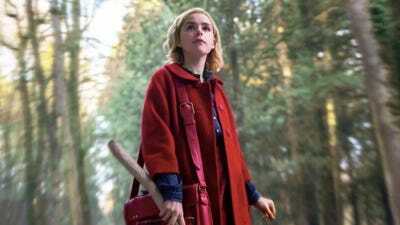 "We think the best-case scenario that US consumers will add Disney+, Apple+ and/or WarnerBros’ new SVOD services to their Netflix SVOD service is too optimistic," the analysts, who have a "neutral" rating and no price target, said about the subscription video on demand services. Some took the opposite approach, brushing off rising streaming competition concerns from companies like Disney and Apple that are focused on a particular demographic, like families with children, or sports fans. "As these services proliferate, Netflix effectively becomes the only pure play service to address almost all demographics and in that sense, its role becomes akin to a legacy broadcaster," said Barclays analyst Kannan Venkateshwar, adding that competition "ironically" boosts Netflix’s value to consumers. Broadly, Wall Street analysts are optimistic on Netflix. Of those surveyed by Bloomberg, 30 have "buy" ratings, 11 are "neutral," and four say "sell." "Both for the Q1 EPS report and mgmt Q2 guide, the impact of recent pricing moves in a handful of countries was on full display," analysts led by Eric Sheridan wrote in a note on Tuesday. While they expect the weaker-than-expected subscription growth guidance to dominate the short-term Netflix debate, they still like Netflix over the long-term for what they see as its leadership position in the streaming space. "NFLX’s 1Q19 earnings may be controversial to some — mostly because of the light 2Q sub outlook — but we think there’s much more to like here than not," analysts led by Doug Anmuth wrote in a report out Wednesday. The firm was encouraged by better-than-expected metrics like the 9.6 million paid net additions and an operating margin of 10.2%. Analyst Mark Mahaney wrote in a note to clients out Tuesday that he’s encouraged by global paid subscription growth that is on pace to accelerate this year compared to last, and said management remained "confident" in Netflix’s recent price hike. "All in, fundamentals remain strong with NFLX maintaining premium 28%+ Revenue growth (ex-FX), Global Paid Sub Adds accelerating in ’19, and operating margin expansion," he wrote.